If I were a day of the week, I’d be Saturday. If I were a time of day, I’d be 9:00 p.m. If I were a planet, I’d be Venus. If I were a sea animal, I’d be a cat. If I were a piece of furniture, I’d be a fluffy afghan. If I were a liquid, I’d be a Shiraz wine. If I were a tree, I’d be a cedar. If I were a tool, I’d be a makeup brush. If I were a flower, I’d be a red rose. If I were a kind of weather, I’d be sunny and 25deg. If I were a musical instrument, I’d be an Spanish guitar. If I were a color, I’d be light blue or lilac. If I were an emotion, I’d be excitement. If I were a fruit, I’d be a red apple. If I were a sound, I’d be a breeze you hear through the trees. If I were an element, I’d be air. If I were a material, I’d be velvet. If I were a scent, I’d be Chanel Chance Eau Tendre. If I were an object, I’d be an antique pandora box, lol! If I were a body part, I’d be the brain. If I were a facial expression, I’d be a toothy grin. If I were a song, I’d be La Tortura (Shakira). If I were a pair of shoes, I’d be a pair of zebra print heels. Hey guys! 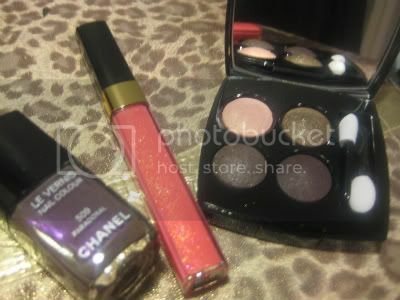 I'm leaving for TO in t-2 hours and thought I squeeze in this blog post featuring Chanel Pink Teaser glossimer. I friggin love this lip gloss; it's a gorgeous pink with baby gold shimmers mixed in. It looks 100 times better in person. If that is possible, Pink Teaser is my fave glossimer (and I love all my glossimers). 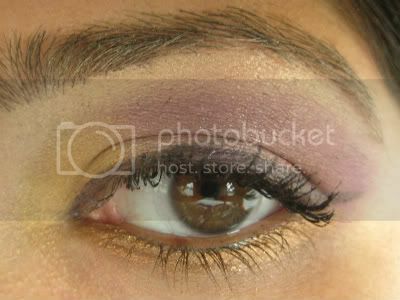 I paired this look with peach and burgundy eyeshadows which are my fave on my eye colour. I'm in the process of packing for this long weekend's getaway to Toronto. As usual, I hate packing, especially when it comes to makeup. I always end up over packing too, lol! 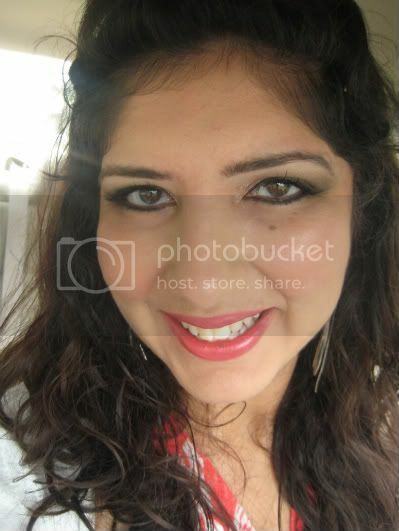 I love the whole experience of blogging; show casing my random makeup combination, discussing beauty topics and meeting many amazing fellow bloggers. What is your favourite part of blogging? Hope you all have a great long weekend! What are your plans? Yesterday's look involved using my neglected sample of Subtle pigment and jazzing it up with Lise Watier Saphire eyeglitter (one of my fave shades). I like the result but I should have waited a bit more for the glitter to dry. I have a bit of glitter rubbed onto my lid from my lashline, oh well! I'm so happy it's Thursday already. I have tomorrow off and we're heading to Toronto for Caribana. We're meeting with a lot of the friends we haven't seen for a while so good times will be had. This is being a great summer in terms of fun social activities, seems like they never stop. Enigma quad - this gorgeous quad is my first Chanel quad. 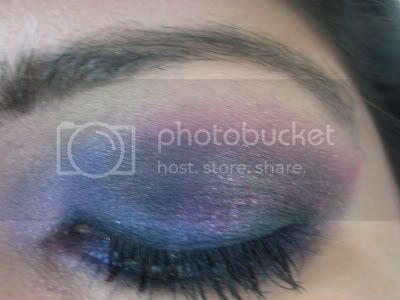 All colours are very pigmented and a must have for a smokey eye lover like me. Paradoxal nail polish - this is a complex taupe shade that has some purple shimmer in it. I cannot wear to rock this on my nails. Pink Teaser glossimer - I'm a huge glossimer fan and this is perhaps the most gorgeous shade of glossimer I've even seen. Beautiful pink with gold shimmer, yummy! Have you picked anything from Chanel recently? 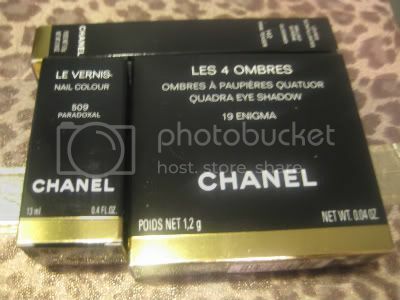 What are some of your Chanel fave products? 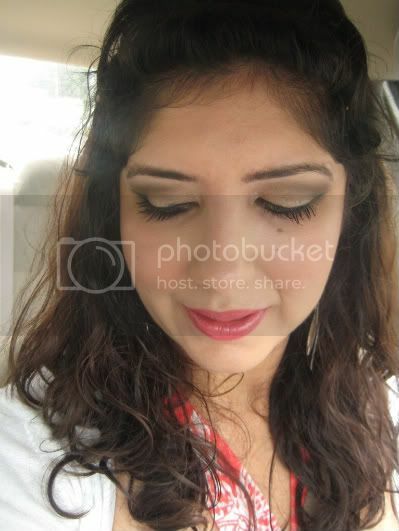 This is the look I wore yesterday, seems like I'm a day behind in blogging every single day! I love contrasting shades on upper and lower lashline. 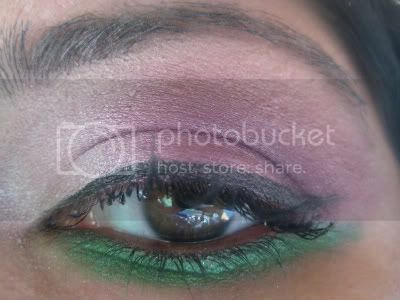 Some of my fave combos are: bronze shades on lid, teal on the lower lashline, golden shades on lid, purple on the lower lahsline and this look: pinks and burgundies on lid and green on the lower lashline. I did the line super thick to make the green very apparent and I'm not sure I like that part of it. Hope you guys like this look. More blog posts upcoming. 1. MAC Painterly Paintpot - I don't have oily lids but my eyeshadows would crease after 4-5 hours before I discovered this product. 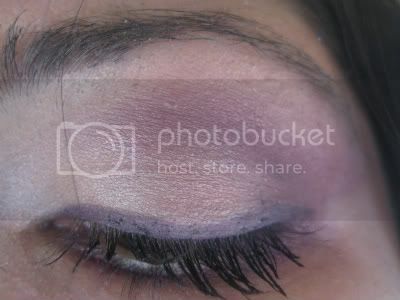 I used to just use concealer but Painterly is perfect. It holds everything for me and I stay crease-free until I take my makeup of (usually over 10 hours). 2. Makeup Forever HD Foundation in shade 118 (Flesh) - you've probably heard me rave about this product before but since I feel that flawless skin is the first step to great makeup, a great foundation makes my life changing list. In summary, I get great coverage and colour match from this and it photographs amazingly. 3. Lancome Hypnose mascara in Black - my lashes are my favourite feature and even on my non-makeup days, I like to show them off. As I alreday have fairly long and thick lashes, I need a good volumizer mascara and I have not found one better than Lancome Hpnose mascara in Black. This is hands down the best mascara I've ever used and it gives me the drama I'm looking for. 4. Orly Smudge Fixer - this is one of my fave products ever as I'm pretty clumpsy when I apply my nail polish. I like to change mine every other day so I apply it fast and I make a mess, lol! Orly Smude Fixer does an awesome job of fixing all that in a blink of an eye and a little goes a long way. 5. Morrocanoil Hair Mask - This product is amazing if you're hair is a little on the dry side. I have fine and wavy hair but a full head of them and my strand get weak especially in the winter. I use a teaspoon of this product in the shower once a week and it's a miracle! My hair feels much softer and I'm seeing less breakage. What are some of your life changing products? Hey guys! 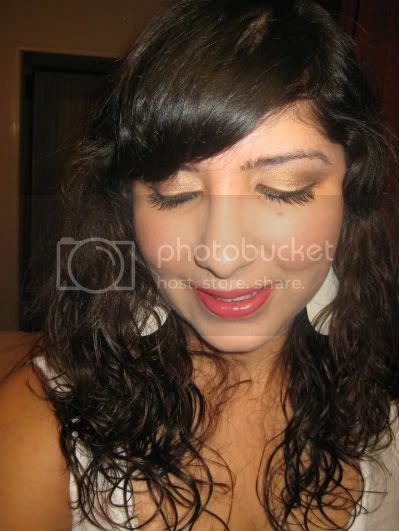 I finally used my Later pigment which I bought with MAC Alice + Olivia release. 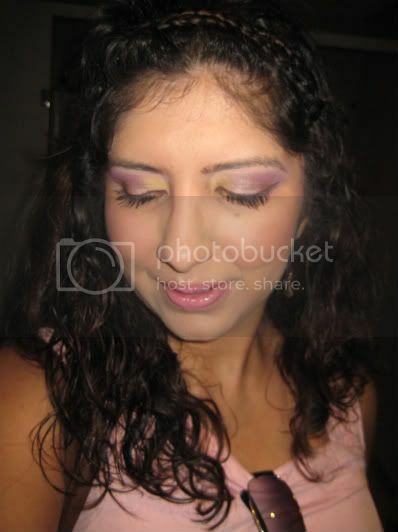 I love purple smokey eyes so that's how I wore this pigment. This is the look I sported to casual night out with some coworkers at an 80's themed club on Sunday. We all had a blast but seeing I'm getting old (I'm 28, lol), I'm still tired from going to bed at 1 am and then having to go to work the next day, haha! Do you guys feel like you can't party in the middle of the week anymore if you're over 25? lol! Hope you guys all had a fabulous weekend. Our plans changed slightly for Saturday as the boat we were going to rent was broken so we went to a water park instead. In the evening, I attended one of my good friends (from highschool) birthday party. We had an amazing time with her and danced our way till 4 am. She had booked us all a VIP area and bottle service which is always nice. Here's the look I wore in the evening. Please don't mind my red neck and chest area. I got burnt pretty bad during the water park visit though I was wearing SPF45 :/ and oh the chlorine in the water is probably what made my eyes look a lil red. 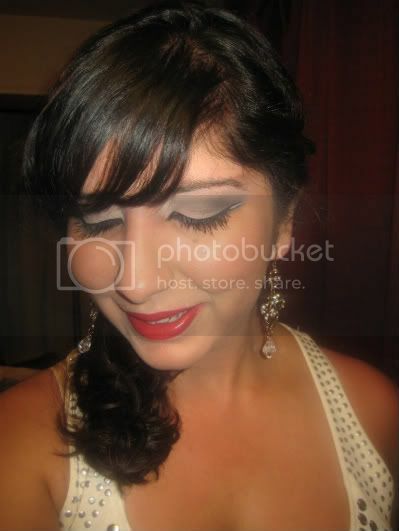 Hope you like this look though, I did some bolder liner and red lips, which is my signature glam look. And here's the outfit. 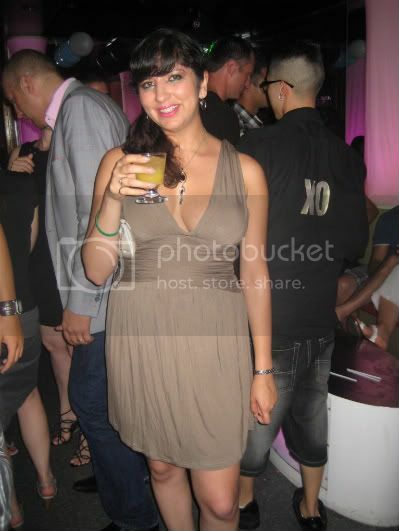 Dress is from Bedo and shoes and clutch are from random boutique in Montreal. 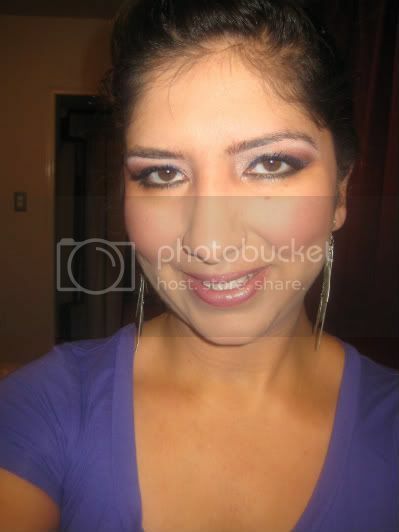 I thought of making this post to talk about some of my own makeup application tricks. 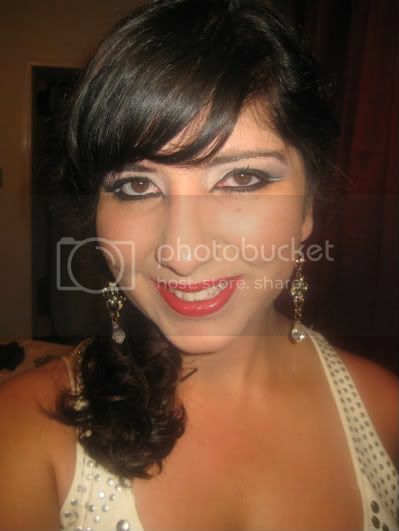 As`you all know I'm not a trained makeup artist but I do love makeup and thought I could share what I do and what works for me (and most likely will work for you). 1. I use a gradient shade to blend in my highlight into my crease 90% of the time. 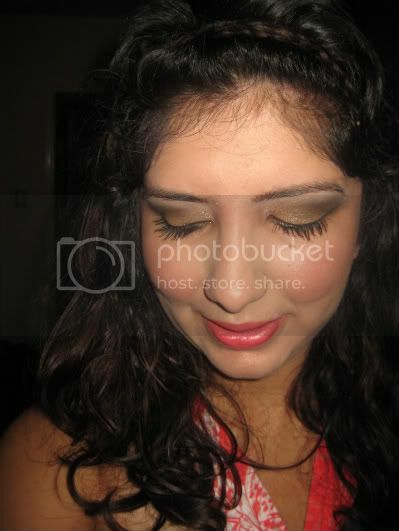 My most used shade is MAC Wedge which is a light taupe colour. You could also use Soft Brown but I prefer Wedge on my neutral to cool skintone. 2. 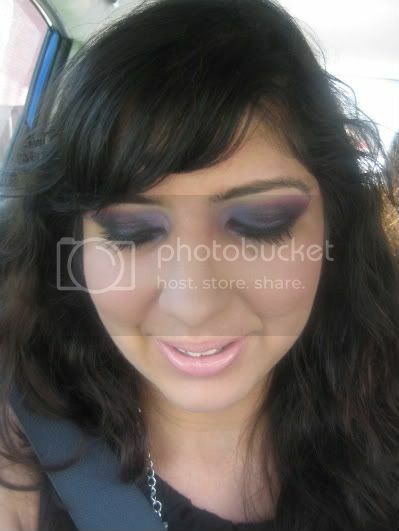 Speaking of skintone, always pay attention to your undertone. When you wear the wrong shades for your undertone your skin can look sallow, while the right shade will give you a natural glow. 3. 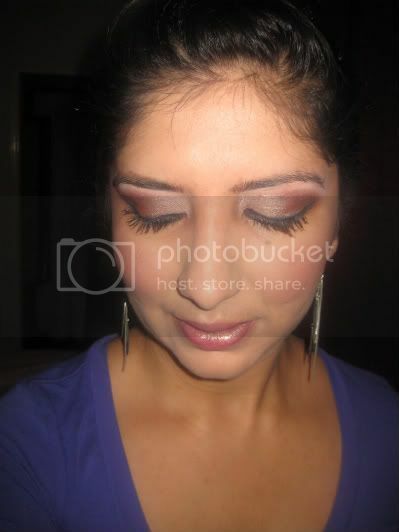 I always tightline when I do a smokey eye or with any type of dramatic lining. For the makeup newbies, tightlining refers to lining your waterline with a black khol pencil. 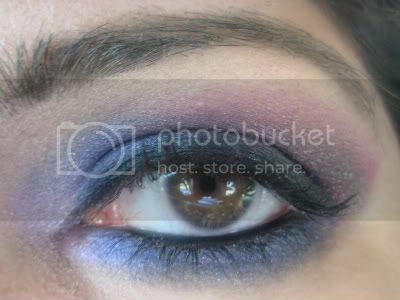 If you skip this step, the eyes will look unfinished compared to the dramatic/smokey makeup you have going on. 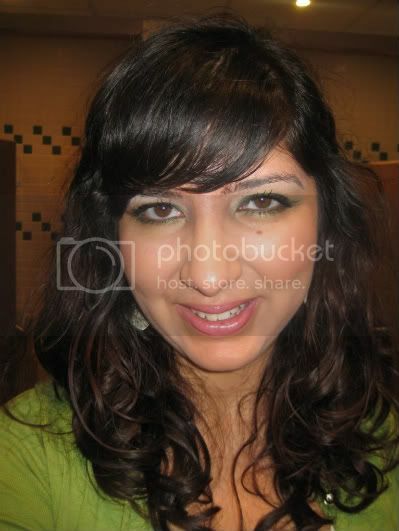 My signature product is MAC Feline which is soft and super dark. 4. I use a matte highlighter on my browbones perhaps 95% of the time. I'm not a fan of how shimmer highlights photograph. The only exception is when I wear all matte shades on my lid. My product of choice is MAC Blanc Type e/s. 5. When in doubt, I wear shades that bring out my eye colour. I find the eyes to be most ppl's best features so I focus on them. 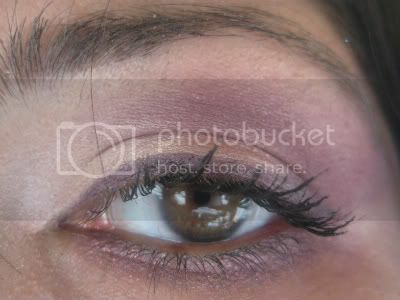 For my hazel eyes, I like to use shades of plum and burgundy or any warm toned purple. 6. I always set any liquid foundation with translucent powder. Even the best quality foundations last longer with powder. I don't like to use coloured powdered though as I find it makes skin look cakey and I don't dig that on me. My holly grail setting powder is Ben Nye Translucent Powder. 7. 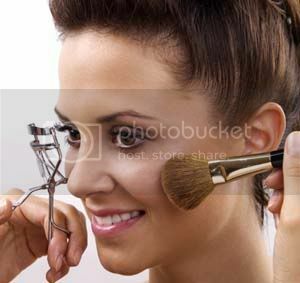 When I'm applying my foundation, I always sweep what ever is left over on the brush on my lips as well. I have very pigmented pink lips and this will help erase them a bit to show my lipstick colour better. 8. 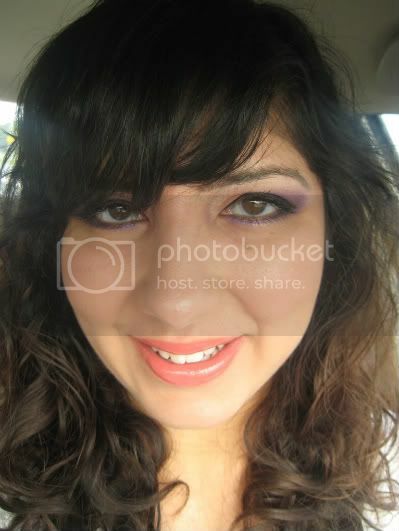 I love pigmented lip glosses and always were them with a complimentary lip liner. 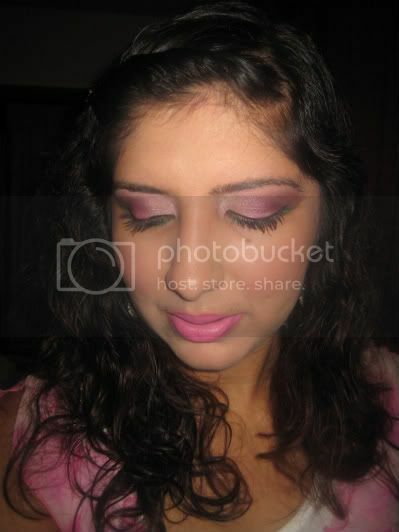 Use the lip liner to line and fill your lips and then apply the gloss on top. 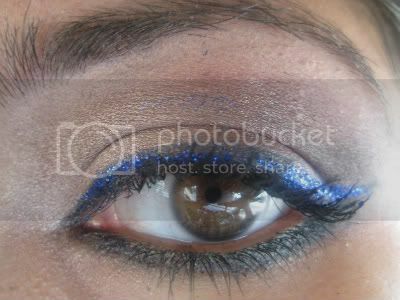 This will prevent the liner from bleeding and give it a polished look. Hope you guys find these helpful. Please add your own application tricks and tips to the comments. Hope everyone is enjoying their weekend. I'm sure you guys have heard me countless times rave about the Chanel Rouge Coco lipsticks, but they are seriously so lovely. One of my faves is Orchidee which is a lovely light red coral shade. It's totally appropriate for day time and a good introduction to red lips for those who are scared of the shade. 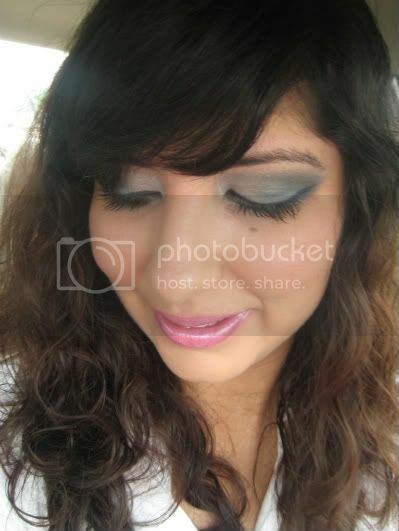 This look is from yesterday when I was wearing a pastel pink top so I decided to wear girly makeup. I love pairing gold and pink and that is just what I did. I also had a relatively stress-free day in the office which is a rarity these days so I was quite happy. Hope you guys like this look and have a lovey weekend. We're still waiting on tomorrow's forecast to see whether we can have this lake trip or not. Hey everyone, hope you're starting a great Thursday. I'm pumped about the end of this stressful week as my weekend is full of fun plans. We're going a lake about an hour away from here and also attending a b-day party on Saturday night (with VIP room and bottle service). Where do you guys stand on this issue? Do you like to tan in the summer? What is your preferred method (natural tan, self tanning products, tanning beds)? Or do you just hate getting darker? 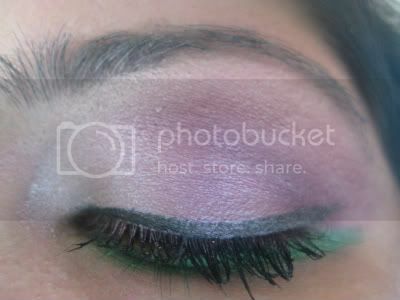 I have a tiny sample of the Pro Green Brown pigment and wanted to do a quick look with it this morning. I've been working too much again, starting early and finishing late. I really feel like it should be Friday already! I'm starting a site visit at 6 am tomorrow morning. Oh well, here's the look. Sorry for the lack of creativity in these looks. I need more energy to think better. Hope you like this in the meanwhile. This is a quick look I put together for work yesterday. I woke up super tired and could not think of anything very creative to do with my face so silver and teal will have to do. 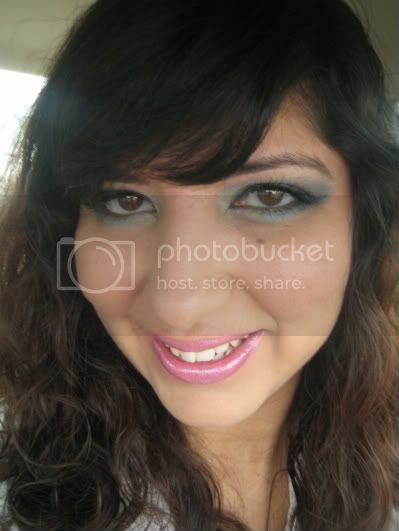 I must say Bubblegum lipstick was my fave purchase from MAC. But I like it even more now that I have a summer tan, the lilac pink shade really stands out more. Hope you guys are having a great Tuesday. Sorry about the picture quality it was a very cloudy day and this is the best I could get out of my camera. Essie's summer collection sold out at my Trade Secret within a day so I never got to see any of it when it first came out. I found the collection at a different Trade Secret last Friday and grabbed the last bottle of Haute as Hello. 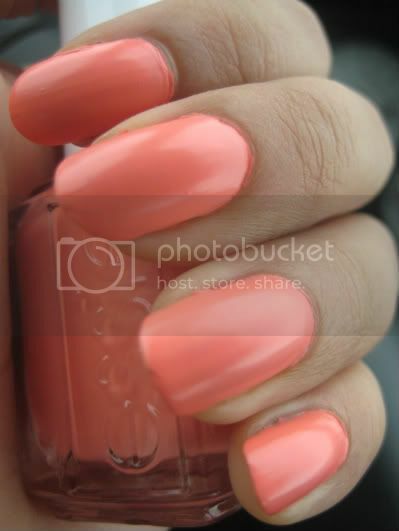 This is a gorgeous pinky coral polish that to me is almost neon in finish. The fiery coral shade almost reminds me of Chanel Genial Rouge Allure lipstick which I adore. The formula is on the runny side though and you will require 3 coats to get an opaque finish. Do you own Haute as Hello? What do you think of it? Hey guys! Hope you all had a fabulous weekend. As I mentioned in my previous post, we spent most of the weekend in Montreal as a common friend was visiting from Germany. It was an awesome time to be in Montreal as the Just for Laughs festival was going on as well as a tone of sidealk sales and performances all over St-Catherine st and Latin Quarter (a.k.a the Village). We spent the day showing the friend around and partied it up at various clubs on Crescent at night. 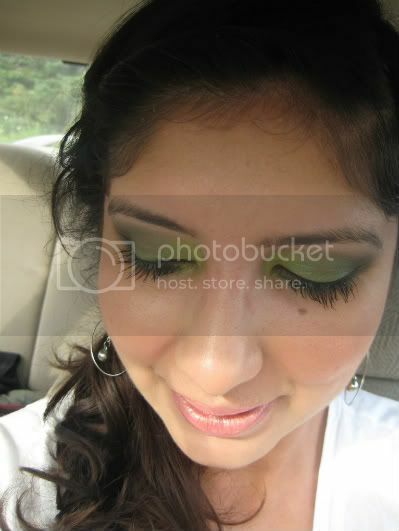 This is the look I sported during the day as I didn't want to be fussed with too much makeup. Swelter slimshine (LE) is a great summer alternative to red lipstick as it's almost like a coloured lip balm. Hope you all have an amazing weekend. Will try to share FOTD and pics from today's trip tomorrow night or Monday the latest. Discussion - Do you want to be a paid makeup artist? 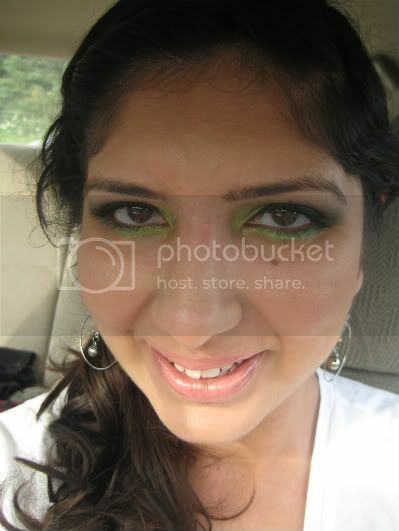 I have been a makeup lover for a very long time. I enjoy searching for the next best product, coming up with cool colour combination and applying makeup to my face or friends and family. 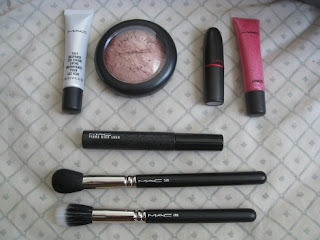 I have been asked by employees when shopping at MAC or Sephora if I wanted to work there quite frequently. My friends and coworkers also always ask if I will ever consider doing freelancing. I always tell them no. I do feel like I'm one of the few who feels that way. Most other makeup lovers I speak to aspire to work as a makeup artist or already are one. I always forget about my Velvet Moss e/s! I have no idea why coz I absolutely adore this colour and think that the name is bang on. 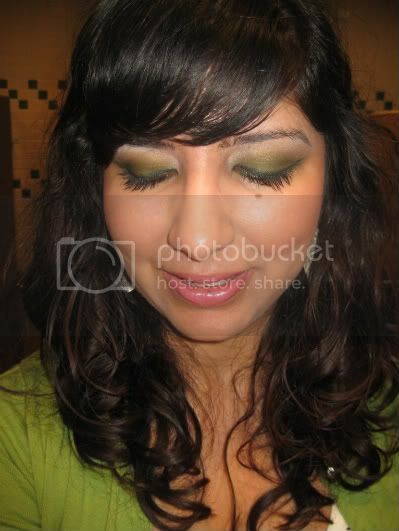 The colour is a moss shade and the texture is velvety smooth. I decided to add a gold fade to this shade and liked the outcome. Gold and green are always so divine together, I just didn't want to do a boring placement. So I placed gold above green. Let me know what you think. Hey guys! I'm still feeling sick so today has not been the best day, but blogging shall go on, lol! It's still pretty hot here too, so I have no idea why all of the sudden I'm craving fall makeup. It might be the heat exhaustion! - Paradoxal - a gray violet nail polish? sign me up! - Taupe Gris e/s - I love me some taupe! Are you already looking forward to fall? What makeup collections are you most excited about? Hey guys, we're having another heat wave here in Ottawa. I'm really getting tired of this, I actually want to be out and be cold, lol! 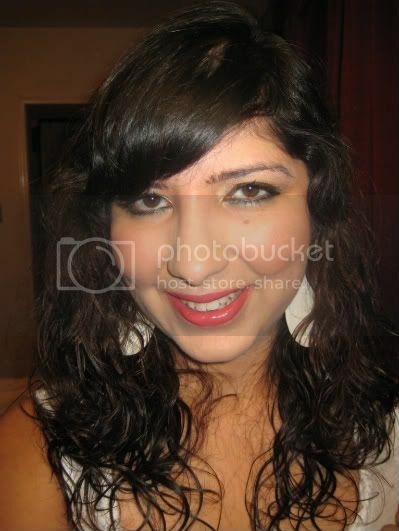 I especially hate the humidity which makes my hair big, ugh! 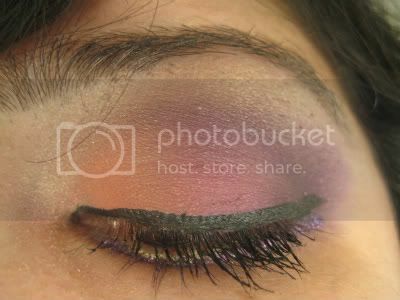 Anyway, I wanted to do a coral and pink eye as I thought it would be appropriate in the summery day. I loved how it turned out, I also couldn't help it and did coral cheeks and lips, oops! Hope you guys like it. Oh, and please take part in today's poll as well. Happy Thursday everyone! I did some shopping this past weekend and this week and bought exactly what i'd gone to the mall for and nothing more. I think I have much more luck with shopping when I'm on my own. I'm usually a very "people" oriented kinda girl; I enjoy working with others, I'm always in the middle of 10 conversations,.... But when it comes to shopping, I can think better when I do it alone. I read in few magazines that it's better to go with friends and rely on their opinion. I definitely don't agree with that. I trust myself best with what looks best and what's already in my closet than anyone else. if I go shopping with friends, I end up buying nothing, lol! Coz I always feel a bit forced. How about you guys? Do you tend to shop with friends or solo? I picked up Going Casual creamsheen glass and I'm in love with the texture. I have no idea why I waited so long to pick up my first creamsheen glass. 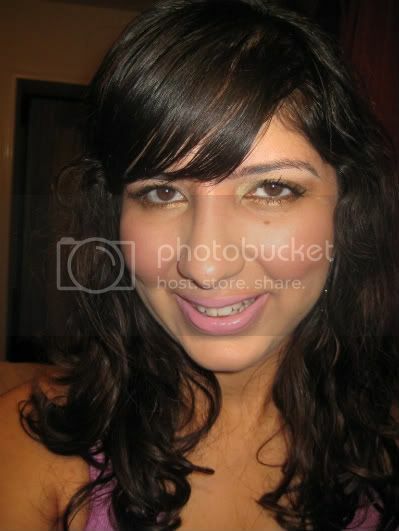 This lipgloss looks gorgeous on top of pinks like Snob and St Germain. I'm a big fan of Snob (on my second tube) so this gloss was definitely a welcome addition. I love how softly it applies and the fact that it's not sticky at all. 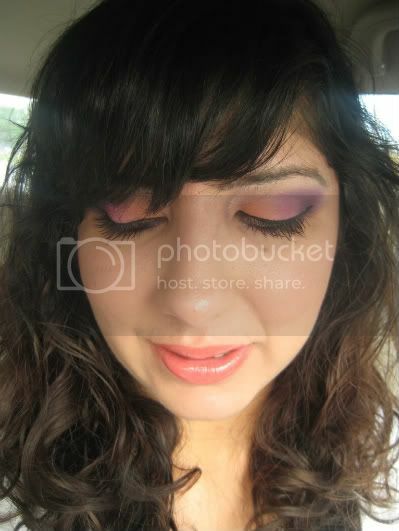 We had a company wide BBQ today by the beach so I kept the eye makeup pretty light. There was about 80 of us at the beach and we had some amazing food followed by playing with frisbee and a game of volleyball. We were at the beach till it started to pour and we had to divert then. Hope you guys are having a great day. For those of you who love creamsheen glasses, what other shades do you recommend? Stark Naked bpb - I have not worn this blush in a minute and forgot how gorgeous it is!